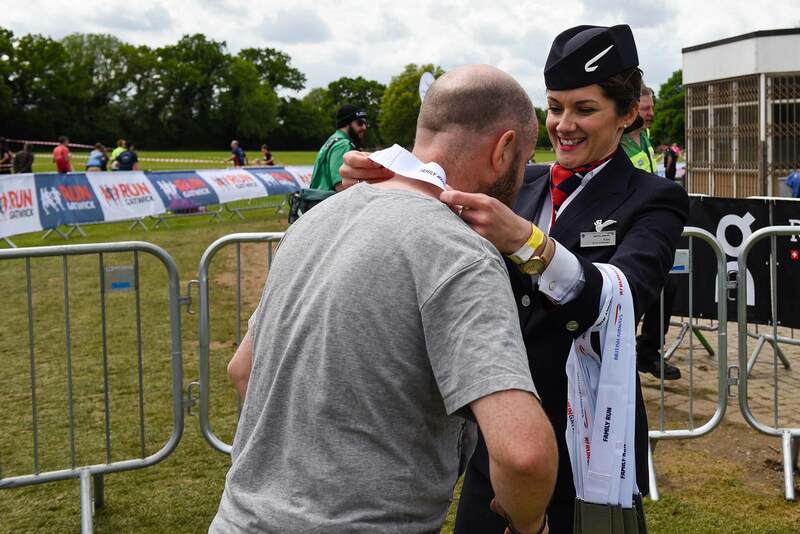 The intrepid runners from the Ambra team, Kangne and Mike, give us an update on their British Airways 5k race training progress and recent challenges, with less than a month to race day. What a journey this has been for me having a zero fitness background, to now starting my day with a protein shake! I began my regime with a promise to push myself to the limit. Thanks to the support of my team, through shared training advice and nutrition plans to inspiring team talks, I now can’t wait to cross the finish line. With 3 weeks to race day, training is progressing nicely. I hope to push harder in the coming weeks, before easing my regime the week before race day. It’s been a great experience, and has completely changed my outlook of running! I’m look forward to using this as a path to other fitness activities. My team has been doing a fantastic job of keeping me motivated with lots of encouragement and I know that I don’t want to let them down on race day. Mike had planned to run the half marathon, however unfortunately an injury put a stop to his training plans and so he will now be participating in the 5k race. I am back in training after recovering from my injury. Taking care of myself is of foremost importance. I’ve restarted my morning 20 min hiit workouts, being more conscious about my diet and energy levels throughout the day, so I can make my evening runs worth while. The support of the Ambra team has been fantastic. It is full of long-distance runners, who have kindly passed on their marathon running, training and nutrition wisdom. With this support I feel excited and ready to run! Although daunted by my injury, I know that people with a wide range of fitness levels do 5k races, and I should be able to cover the distance. As long as I stay on track with my training, before I know it, rest, fuel, warm up … RACE DAY. Both Mike and Kangne are raising funds for the local charity Oliver’s Wish. Team Ambra are running in aid of Oliver’s Wish Foundation, a local body raising money and awareness for a range of charities that focus on supporting babies, children and young people. For more information on the Oliver’s Wish Foundation and the charities it supports, you can visit www.oliverswish.org.uk.